No Woolly Hats Needed for our Gulls. So the extreme cold weather in the south of England and Ireland has pushed our 3 remaining gulls south. We can officially say that have all ‘left the building’. 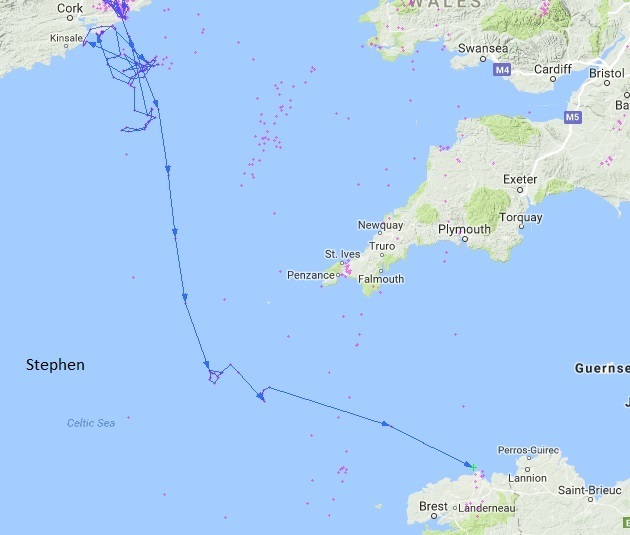 Gary, Stephen and Archie all left our shores this weekend and surprisingly for us they all headed through France. 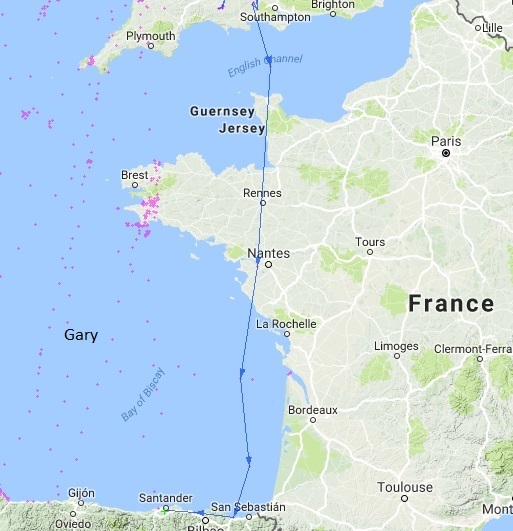 Gary pretty much flew non-stop through France into Spain and is currently in Santander. 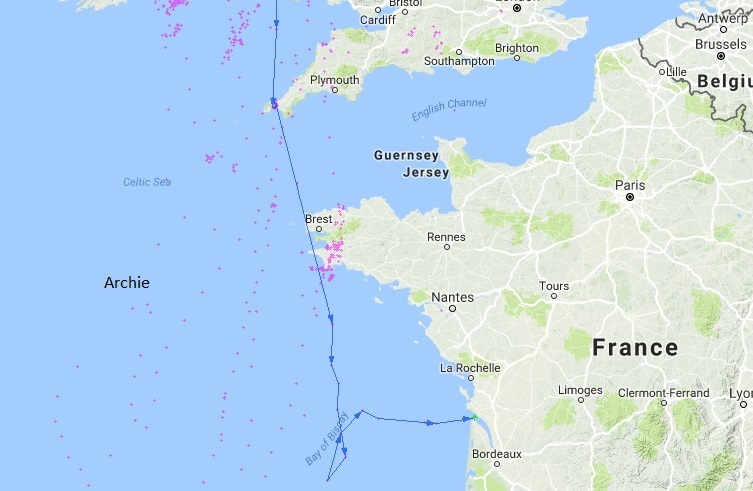 Stephen arrived in Brittany on Sunday and is currently in Roscoff where Flyback made his entry into France many months ago now. Finally, Archie looks like he was going to head to Spain before doubling back on himself and headed into France. These guys have all been quite late in headed further south. We wonder if they will be the last to return to Scotland next spring. We will just have to wait and see.